London to Brighton by Coach in Under Eight Hours! With the opening of the London to Brighton rail line, in 1841, coach travel between the two cities declined dramatically both in importance and frequency. Why, one might ask, would someone choose the discomfort and danger of coach travel when, by the middle years of the Old Queen's reign, the trip could be completed with relative ease in less than half the time it would take by coach? Today, just as we may think of the age of the steam locomotive as part of a romantic past, so did Victorians, in the second half of the nineteenth century, tend to romanticize travel by coach. Certainly there was something more "earthy" about it. One was, perhaps, less close to the realities of life than if one was walking, but one was certainly closer than if enclosed in the carriage of a train pelting along at the frightening speed of 40 or more miles per hour. Sentiment hung round the expiring age of coaching, and has cast a halo on old-time ways of travelling, so that we often fail to note the disadvantages and discomforts endured in those days. Some of this sentiment was captured (or possibly re-imagined) by the Illustrated London News in 1888. [I]n the old times which some of us can personally remember -- well appointed mail-coaches performed the longest journey at the rate, including all stoppages, of more than ten miles an hour, while special post-chaises could do more than eleven miles an hour; and it is very pleasant in fine weather. Not only were the trains faster and more comfortable, they could carry more holiday maker to the coast. The record number of 480 coach passengers arrived in Brighton on 25 October of 1833 and only a little over three months later the fastest time for that distance was set at 3 hours and 40 minutes. But by 1841 the first "Golden Age" of travel by coach was coming to an end. Despite the decline, which had seen the number of coaches daily fall by 1843 from the high of fifty-two coaches daily in 1815 to only one and eventually in 1845 to none, there were still those who saw in the coaches a romantic alternative and at least one coach made regular trips until 1862. In the middle of the '60s, there was a further revival and this was one of sentiment and sport. The Illustrated London News for 21 July 1888 summed up the sentimental element which attracted so many. The high art of coachmanship is not yet extinct, nor has the breed of good roadsters degenerated in England, though all serious journeys are now done by railway. Speed fascinated Victorians. Images of rockets and high speed vehicles were not uncommon, if imaginary. While trains were tacitly accepted as the fastest form of transport, there were still those who wanted to squeeze every drop of speed possible out of alternative modes. The last quarter of the nineteenth century, for example, saw bicycle racing come to the fore, especially after the development of the pneumatic tyre in 1889. Obviously, the question was raised, how quickly could a coach make the trip from London to Brighton and return. One way trips of under four hours had been recorded from the mid-1830s onward, but prior to 1888 no coach had made the return trip in under eight hours. This, like the four-minute mile in 1954 was a barrier just waiting to be broken. And Jim Selby was just the man to take up the challenge. 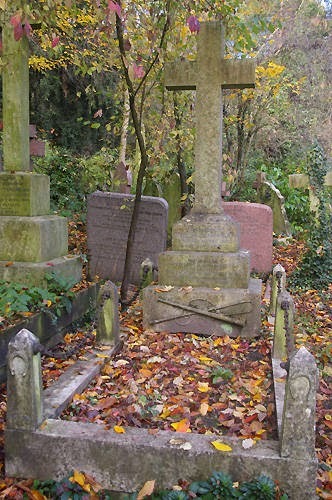 Selby was born in 1844, when the railways had taken over from the coaches. But, because his father was proprietor of a hotel which had a large livery stable attached, he was able to spend his time, when not employed in an auctioneer's office, with horses and livery. By 1870, he was driving regularly and by the end of the decade he had his own coach, the Old Times with which he was driving longer and more arduous trips at higher speeds. Although only 44 years of age at the time of his great drive, he looked older. White-haired and probably affected by the constant outdoor life and the strain of handling the four horses pulling the coach, he was a recognizable figure on the Brighton road. By the mid-80s, Selby was the preeminent "whip" of the age. According to The Times, in addition to having spent twenty years on the Brighton road, he "taught more men to drive in England than any man in the kingdom." In June of 1888, Selby was attending the races at Ascot. At that meeting where William (Jack) Robinson won the Gold Cup on "Timothy," Selby's backers accepted a wager of £1,000 to £500 that he would not be able to drive his coach to Brighton and back in eight hours or less. Should he succeed, the winnings were his. A month later, on Friday the 13th, 1888. "Jem" Selby set out from London. The temperature was 71 degrees Fahrenheit a considerable improvement over the previous day when it had only reached 54 degrees but still a dull day with a light wind. At just before 10:00 in the morning, outside Hatchett's Hotel, in front of the New White Horse Cellar, the six passengers climbed aboard the coach and Selby and the guard mounted the box. The tall, top-hatted, Selby, with his ever-present boutonniere waited for the signal to start which was given by Mr. Percy Edwards, watchmaker of Piccadilly. The police made sure the road was clear of the crowd that had turned out to watch the departure and the coach was away. On the round trip there were sixteen changes of the team. These took place with amazing speed. The first stop, at the Horse and Groom in Streatham was reached at an average speed of 12 miles per hour. Here the change of horses was accomplished in 47 seconds with some of those on the coach getting down to assist. Leaving Streatham the pace picked up to 13 miles an hour and although by the time the coach had left Redhill the road was getting heavy, Selby was able not only to maintain the pace but on one stretch reached, and maintained, a speed of 20 miles per hour. At Crawley, the coach encountered the only delay of the trip when the level-crossing gates were found closed. The delay was only for two minutes and the coach raced away completing the remaining section of the drive in an hour and forty five minutes. The first half of the journey had taken less than four hours and, while this time was certainly less than record breaking, it was only half of the distance to be covered in the wager. At just ten seconds after 1:56 in the afternoon, the coach pulled up at the Old Ship Hotel in Brighton. 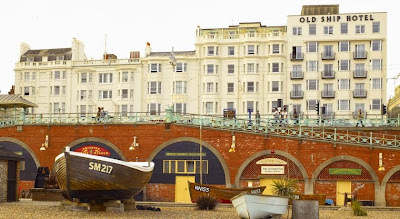 The Old Ship is today, as it was in 1888, a striking Georgian property on the seafront, overlooking Brighton beach, but Selby and his passengers probably did not bother to take in the view; the horses were turned round, a few telegrams were handed up and the Old Times was off on its return journey. One of the telegrams which was received was from the Duke of Beaufort. It was Henry Somerset, Eighth Duke of Beaufort who conceived and planned the Badminton Library series of sporting books and acted as its overseeing editor. 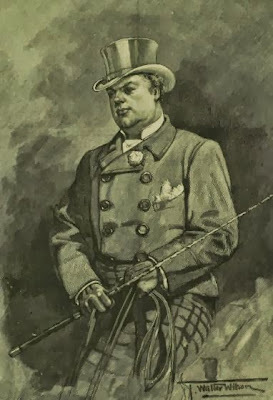 The publication of the series began in 1885 with a volume on Hunting, and in 1889, the volume on Driving was published with a fond reminiscence of James Selby. In his telegram, the Duke wrote "Thank you much; sorry could not go; fine fresh day. Hope 6 o'clock will find you at the Cellars. Sharp work." Had Selby arrived at 6:00pm, he would have made the trip in exactly eight hours and might not have won the bet. He arrived with ten minutes to spare, pulling in to Piccadilly with a flourish at exactly 5:50pm. The return trip had take a few minutes longer, but the difference between the two directions was less than five minutes. Along the return the roads were clear and at a number of places bouquets were thrown on to the coach as it thundered past. At the finish, Selby was cheered by members of the Coaching Club as well as a number of naval and military officers who were present. Unfortunately, Selby was not able to enjoy his triumph. Less than a month after his historic ride, his time was reduced by fourteen minutes when four bicyclists cycled over the same distance on an Ormonde Safety bicycle. The complete irrelevance of one type of transport to the other seems to have escaped the sports-mad newspapers. Just five months after his epic feat, Jim Selby was dead, and just as his great coaching feat had been so fulsomely written about in the British newspapers, his death was memorialized. He was buried in Highgate Cemetery and the procession from his home in the Edgeware Road to the burial ground was nearly a mile long,one of the largest ever seen. 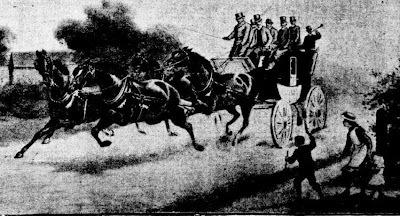 Eighteen stage-coaches, three private drags, and numerous brakes and broughams, driven by well-known whips formed part of the procession.The funeral-car was covered with wreaths and floral emblems. The Old Times was, of course, one of the coaches driven in the procession. 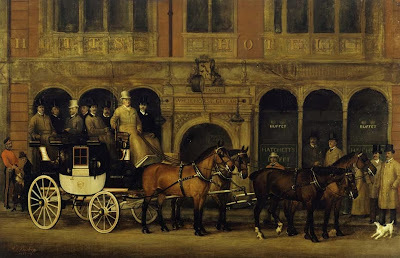 The affection and respect in which Selby was held could be seen in the West End of London where cab and omnibus drivers tied crape bows to their whips as a tribute. With the death of Selby, one of England's greatest whips was gone. And for many, the second golden age of coaching came to a close. For further information, click here to download C. G. Harper, The Brighton Road (1892). There is a detailed analysis of the ride and further information on Selby beginning on page 73.